SAP®Business One Integration with Jet results in a powerful commerce system that delivers a full suite of functionality and automate synchronization that helps you save your valuable time and effort. Why should you do Jet SAP®Business One Integration? SAP®Business One Jet Integration is using a true entity level mapping between the two systems. 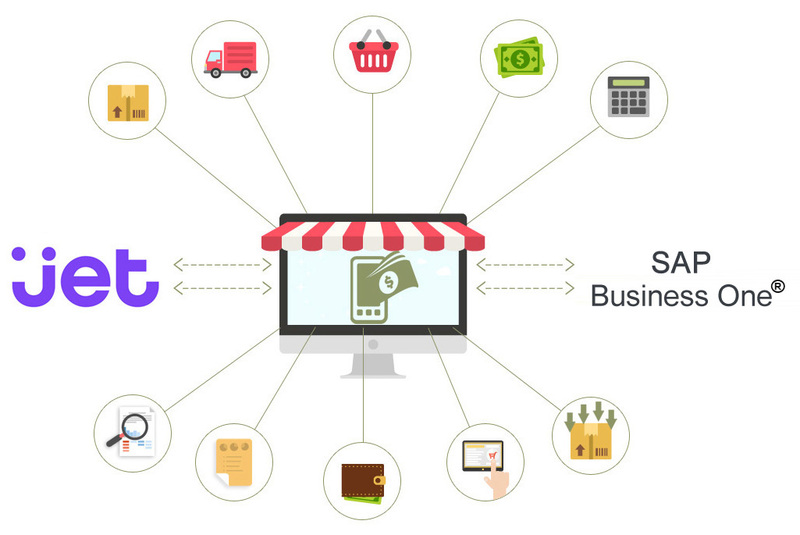 Jet Integration helps you to streamline your back-end to your front-end, instead of manual, inconsistent entries of orders, customer details and stock, all transactions will be automated. You’ll operate more efficiently by automating the order transactions between your Jet.com and SAP®Business One. By integrating your systems, you won’t have to worry anymore about inaccurate order, customer, and item data that negatively impact your performance. 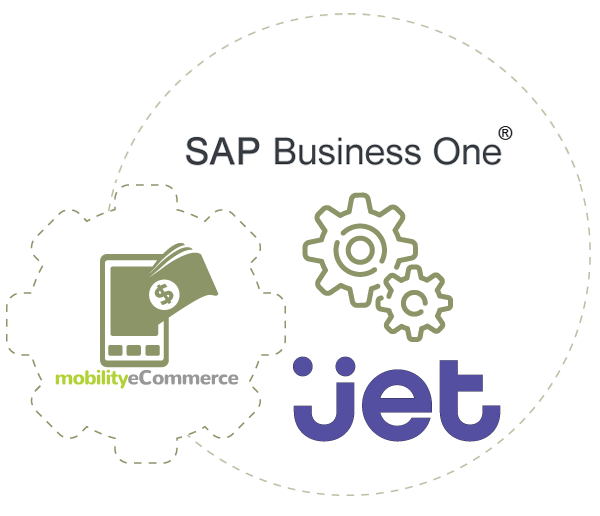 Product listing is synchronized between SAP®Business One& Jet. Automate customer data synchronisation between Jet and SAP®Business One. Bi-directional synchronization of Sales Orders between SAP®B1 and Jet. Sync Manage products, kits , bundles , variations, pricing matrix and price levels, images, categories, metadata , category specific product attributes directly from SAP®B1 and publish product listings to Jet marketplace. Keep an accurate eye on item stock levels with information shared between SAP®Business One and Jet. Enjoy pricing details shared perfectly between SAP®Business One and Jet. Keep track of cancellations and refunds in SAP®Business One as they happen on Jet marketplace and provide a best-in-class customer service experience. FBA and FBM orders synchronized in real time with the added power of commissions , fees to help understand gross profit.